NMRA ANNOUNCES NEW OFFICERS AND BOARD MEMBERS – Brandon Flack of Atlantic Marketing elected as President. The National Marine Representatives Association (NMRA) has elected its 2014-2015 officers and board members. Two new officers and three new board members joined the association’s leadership group. 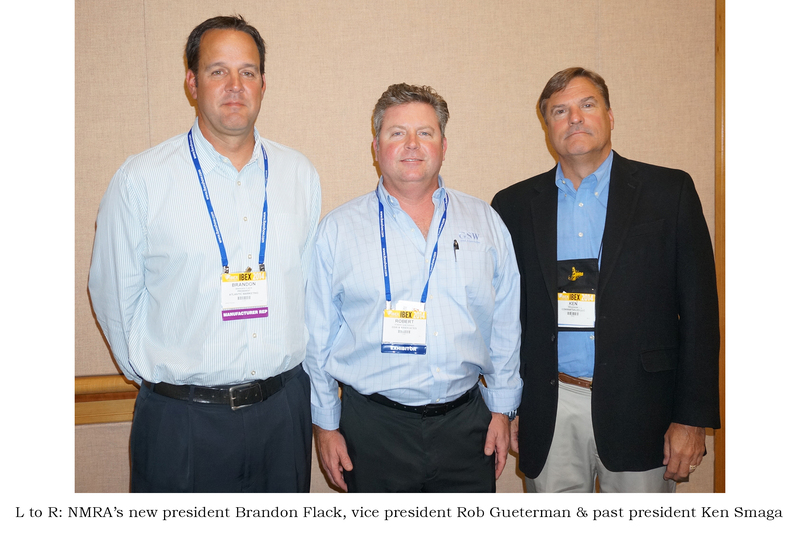 Brandon Flack of Atlantic Marketing Co., Stonington, Connecticut has been elected to president, while Rob Gueterman of GSW & Associates, Tampa, Florida is now vice president. Keith LaMarr of Macaroni Marketing, Watsonville, California now serves as NMRA’s new treasurer. Neil Trombley of Gulf Atlantic Marketing, N. Ft. Meyers, Florida joins NMRA’s board as secretary. Ken Smaga of ComMar Sales LLC, Land O’ Lakes, Florida is now past president. Three new board members, John Miklovis of North Star Sales, Northbrook, Illinois; Jim Cressy of Cressy Marketing, Mishawaka, Indiana; and Dave Burgess of Canadian Rep Service, Coldwater, Ontario, will serve three year terms. They join existing board members: Clayton Smith of Waters & David, Fairview, Texas; Craig Coatney of Coatney Sales, Fremont Indiana; and Ivan Cross of Merifield Co., Camano Island, Washington. NMRA was founded in 1960 as a national organization serving independent marine sales representatives and the manufacturers who sell through reps. Functioning as an industry voice, NMRA promotes networking and the benefits of utilizing reps for sales. Posted in News on November 7, 2014 by CERat.